Is This The End of Malaysia Airlines? In part, this is about public perception. Because no matter how low you drop ticket prices, even the most rational, pragmatic, non-superstitious person in the world is going to think twice before flying Malaysia Airlines. Malaysia Airlines suffered its second tragedy in four months on Thursday when Flight MH17 heading from Amsterdam to Kuala Lumpur was shot down over Ukraine by a surface-to-air missile. The area has been the scene of conflict for months between pro-Russian separatists and Ukrainian loyalists; responsibility and blame has been thrown back and forth between the two sides with little regard for the 295 lives lost. And it was only in March that Malaysia Airlines was shattered when Flight MH370 from Kuala Lumpur to Beijing went dramatically off-course and disappeared with 239 on-board – and still yet to be found, in one of the great aviation mysteries of our time. In Thursday’s incident involving Flight MH17, Malaysia Airlines certainly isn’t responsible for an act of terrorism, or a casualty of war, however you want to refer to it. But the airline is facing a slew of lawsuits over the disappearance of Flight MH370. Truth be told, however, Malaysia Airlines was in financial disarray long before Thursday, and long before March. The carrier had posted three consecutive years of losses, including $368 million in 2013. Already this year, it reported a loss of $139.5 million in the first quarter, compared to a loss of $88 million in the first three months of 2013. Take that and extrapolate as you will. Despite warnings from the Federal Aviation Administration in the United States, and despite the fact that two Ukrainian military planes had been shot down in recent weeks, Malaysia Airlines (and others, to be fair) continued to use that well-trafficked route over Russia and Ukraine in part because of financial reasons – it’s shorter and uses less fuel. Like some airlines previously, Malaysia has lost passengers and revenue to low-cost carriers in the region. Since the airline is 69 percent owned by the government through its investment firm, a bailout would seem likely. But the government has gone down that path before, with little success. Merging with, or being acquired by, another airline would also be a likely outcome, but what takers would be out there now? Just last month, Etihad Airways publicly declined a published report that it would link up with Malaysia Airlines. “Etihad Airways would like to confirm that it is not in talks with Malaysia Airlines about the possibility of an equity investment in the carrier,” the company said in a statement. 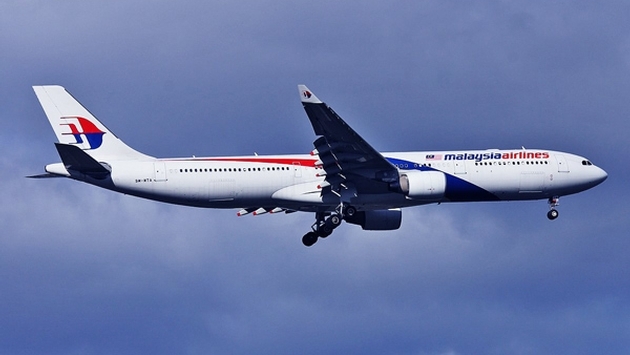 Is this the end of Malaysia Airlines? Stranger things have happened when it comes to finances, mergers and acquisitions. But for now, it’s safe to say Malaysia Airlines is teetering in the brink of insolvency.